In response to continued demand, we have updated our list of hair straightening products that contain formaldehyde which we have posted on our website since 2014 (link to information published in 2014). While there has been limited testing conducted on these products in recent years, there has been some greater attention on enforcing compliance with safety data sheet laws. In response manufacturers are more frequently admitting both the presence and hazards caused by the formaldehyde contained in their products. 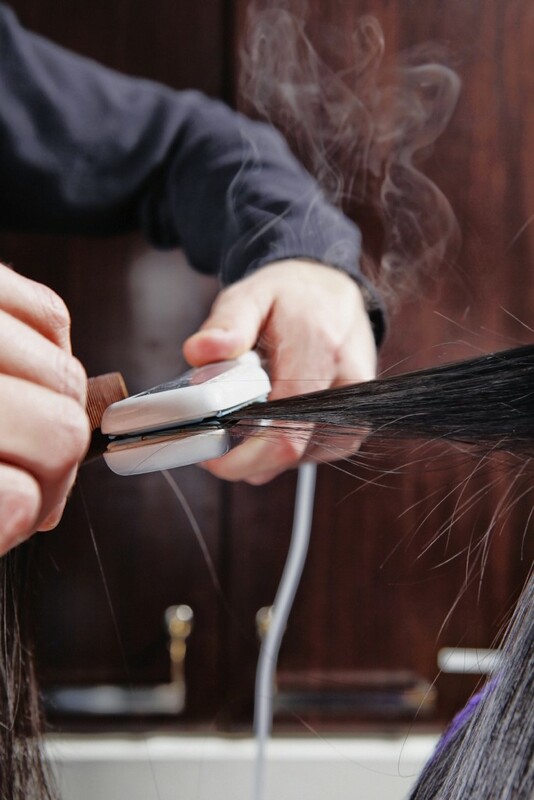 In the last year, we conducted a survey of hair straightening products, asking manufacturers for their safety data sheets (SDSs). In some cases, the manufacturers would not provide these documents to us, while other others offered them freely on their website or sent us a copy after a simple request. Below is the information we have compiled on products currently available in the U.S. market. NOTE: Products not mentioned on this list should not be assumed to be formaldehyde-free – they are products for which we could not obtain or confirm information about their formaldehyde status. Products that currently contain or release formaldehyde according to Safety Data Sheets (SDS) released to Women’s Voices for the Earth by the manufacturer in 2017. *Not all SDSs are available online. Please contact us at womensvoices@womensvoices.org if you would like additional SDS information. Tell the FDA to institute a voluntary recall of Brazilian Blowout! – Timeline of actions on Brazilian Blowout.